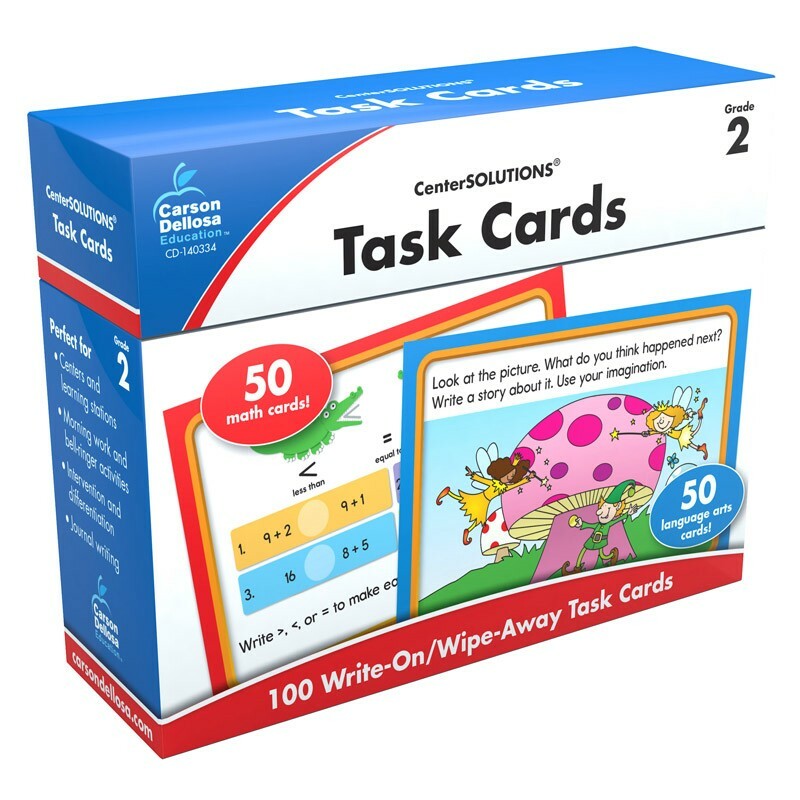 Reinforce the Common Core State Standards for language arts and math with CenterSOLUTIONS(R) for the Common Core Task Cards for second grade. Each write-on/wipe-away card contains critical thinking activities that promote active learning for Common Core success! The set contains 50 language arts cards and 50 math cards, each printed with a standard on one side for easy planning and progress tracking. The cards are perfect for centers and learning stations, individualized instruction or skill differentiation, math and reading journals, and much more. The set includes 100 4" x 6" task cards, one introduction card, and one divider. A free online resource guide provides a standards matrix, recording sheets, and an answer key.